The Central America and Caribbean Catastrophe Risk Insurance Program (CACCRIP) received a contribution by KfW and the World Bank who signed an agreement today for EUR 15 million from the Federal Republic of Germany. The aim is of course to generate a rapid payout in case of disaster and this is possible thanks to donors and the international community that wanted to address this insurance to disaster risk support. KATOWICE, December 12, 2018 – KfW and the World Bank signed an agreement today for a EUR 15 million contribution from the Federal Republic of Germany to be executed under the Central America and Caribbean Catastrophe Risk Insurance Program (CACCRIP). This is the biggest contribution to the CACCRIP from a single donor. 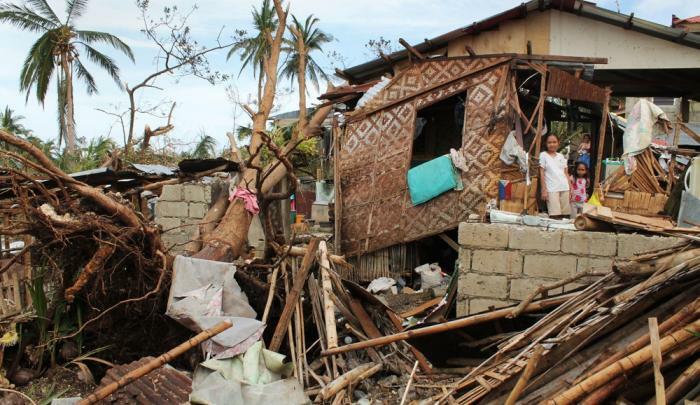 The engagement is part of the efforts from donors and the international community to address increasing disaster risks by supporting insurance mechanisms that provide rapid payouts to countries in the aftermath of a disaster. “With climate change, we can expect more frequent and intensive weather events and hurricanes. This calls for countries to build resilience from a 360 degree perspective from disaster preparedness to physical and financial resilience,” said Jorge Familiar, Regional Vice President for Latin America and the Caribbean. “This initiative is part of a broader engagement where we are working with countries in the Caribbean and Central America to develop cost-effective, affordable and sustainable disaster risk financing and insurance strategies”. The new funding for the CACCRIP will be used to continue improving the affordability of high-quality sovereign catastrophe risk transfer associated with earthquakes and climate risks for the Council of Ministers of Finance of Central America and the Dominican Republic (COSEFIN) countries participating in CCRIF SPC, a multi-country risk pool. It will also be used to enhance the capacity of the Ministries of Finance to develop and implement disaster risk financing and insurance strategies. The CACCRIP also supports activities in Caribbean Community (CARICOM) countries with similar objectives. The contribution was announced jointly today by Frank Fass-Metz, Commissioner for Cimate Policy and Climate Finance of the German Federal Ministry for Economic Cooperation and Development (BMZ), André Ahlert, KfW’s Director, Latin America and the Caribbean, and John Roome, World Bank’s Senior Director of Climate Change. A formal signing event was held in COP24, Katowice, during which participants welcomed the initiative and renewed efforts from donors and the international community to address increasing global climate and disaster risks. As part of a comprehensive disaster risk management strategy, the CACCRIP has supported the development of disaster risk financing strategies and operational plans, as well as a tool to assess the macroeconomic impact of disasters, and the development of budget classifiers. Linking disaster risk management and risk financing: In recent years, the international community has increasingly recognized the relevance of Disaster Risk Financing as part of the integrated framework of disaster risk management to reduce physical and fiscal risk. Parametric models build in part on the levels of risk countries face. This is usually dependant of quantitative risk assessments. Having access to this information facilitates discussions with countries, and the opportunity towards a proactive approach focused on risk reduction and financial planning. Moving towards planning financial response: Risk pools are part of a number of instruments that complements governments risk reduction efforts. They also focused on planning financial responses, rather than relying on fundraising efforts in the aftermath of disasters. Strengthening in-country capacity: The program not only focuses on enabling access to financial protection mechanisms but in strengthening governments’ capacities. By providing Ministries of Finance advisory services and analytics, the World Bank is building in-country capacity that enables countries to make informed decisions on what financial instruments to protect themselves against the adverse fiscal impacts of catastrophic events. The CACCRIP currently channels resources from the European Union ($14.8 million), Canada ($13.9 million), Germany, through BMZ ($12.5 million) and the United States ($10 million). The critical role of disaster risk financing and insurance is now globally recognized, leading to the launch of the InsuResilience Global Partnership in November 2017.